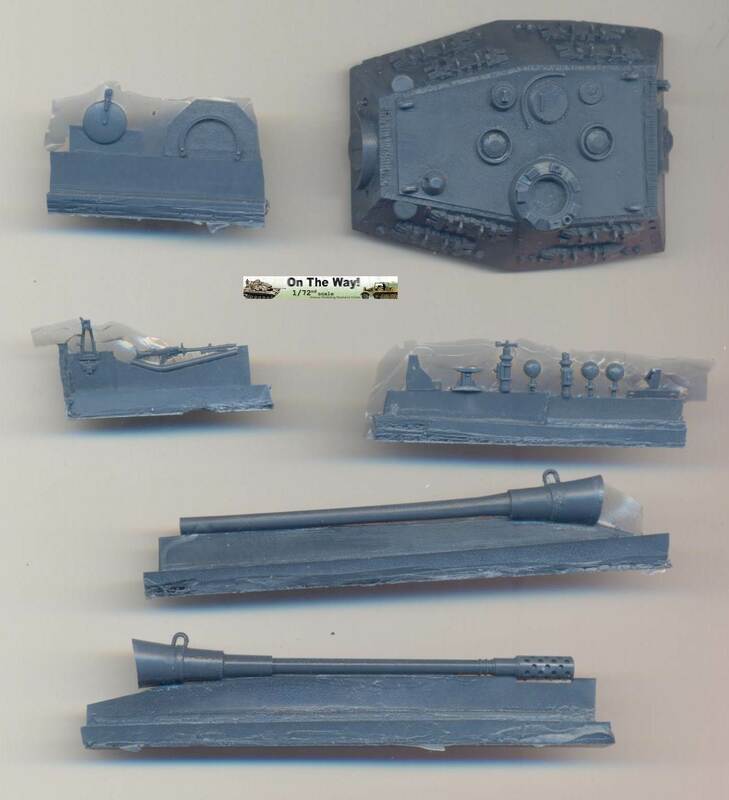 In this review I only used the hull of the Dragon kit, which has been previewed here. 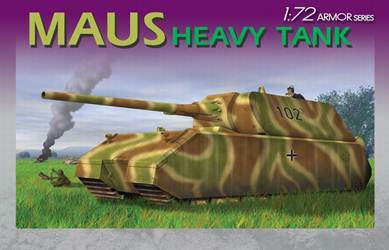 The turret from the Dragon Maus is very similar to that in the Dragon E-100, which was reviewed here. The turret for this construction review comes from the Cpl Overby's E-100 Ausf.B. The result is purely fictitious. Given the size of this kit, there are actually few parts and construction is extremely simple. So simple, that I forgot to pay any attention at all and made some embarrassing noob mistakes. I installed the main hull part (A2) backwards. In hindsight I am not sure how this happened, but as it is almost symmetrical, I guess I just wasn't paying enough attention. This means that my drive sprockets are now at the front, instead of the rear. It might also be the reason why the tracks almost touch the rear fenders, even though pictures of the (correctly ?) assembled kit on the side of the box make me think that it would have been a tight fit anyway. 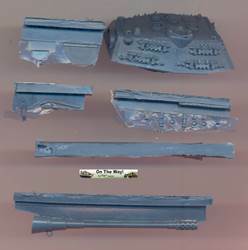 Speaking of fit, it would be best to thin the side hull plates a bit in the areas where the tracks pass as the tracks tend to have very little place to spare. To hide my mistakes a bit, I decided to add small extra fenders at the rear. I decided to fit the side hull plates (E1 and E15) before installing the tracks, sprocket and idler as I thought it would speed up assembly and painting. It didn't, quite on the contrary, and next time I build this kit I will surely fit the tracks first. Speaking of tracks, about half of them will be perfectly hidden. I decided to cut that part away, firstly because otherwise there was no way I could install the tracks using my building sequence and secondly, because I have the idea of using these as spare tracks for a future Maus. The main lower hull part (A2) has open sections, for reasons unknown to me. I decided to blank them off, to avoid a see through effect. PE mesh is provided for the rear louvers, but not for the front, so these were blanked off as well. I think that part E18 and E19 have been switched in the instructions, even though, in this case, this is a matter of the pot calling the kettle black. There is some detail on the inside of the driver's hatch and it can be opened. No interior is given, though. Three headlights (E12) are given, only two are needed. Three tow hooks (E9) are given, only one is needed. I decided not to measure the kit for accuracy as I don't have detailed scale plans for this vehicle (yet). This turret is part of kit MP054 and as such has spare tracks for the E-100 molded on the turret sides. These were carefully cut/sanded off. Holes for the rangefinders (on the front of the turret) were drilled out. 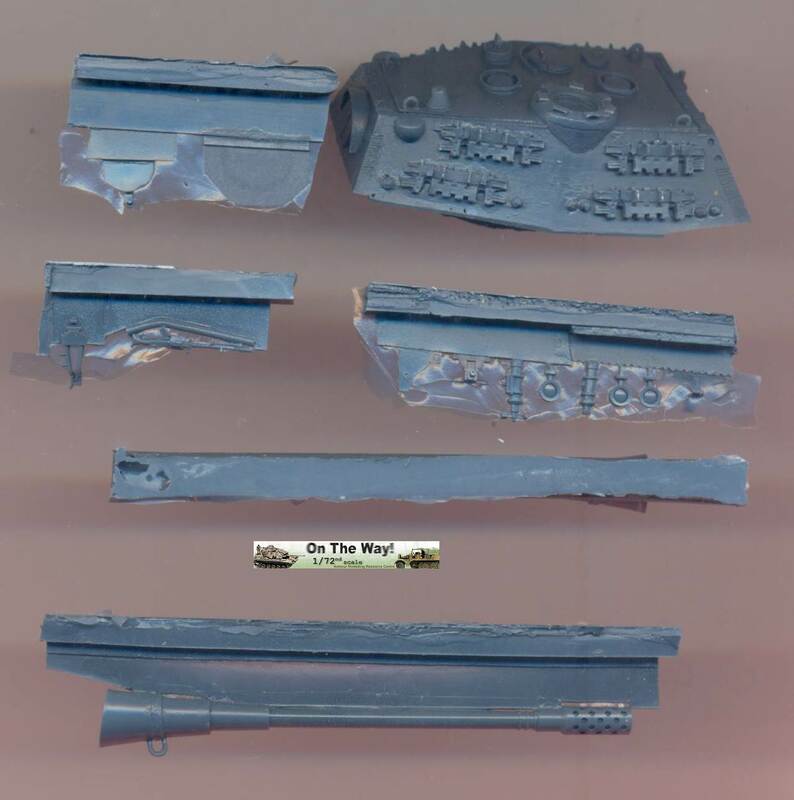 It helps that the resin is almost plastic-like in its hardness. It is remarkable how Cpl Overby manages to cast parts as big as this without warping and with very few pinholes. I counted three that were easily filled with some stretched sprue and superglue. I did notice that the rear of the turret (just in front of the weld beads) was not perfectly parallel to the rear plate. An incision and small strip of plastic card remedied this. As the turret has very few pieces, assembly was quick. Most of my time was actually taken by the need to remove the tracks. Note that the kit comes with two types of gun barrel (with and without muzzle break) and are perfectly straight, in spite of their length. I decided not to measure the turret for accuracy as it is completely fictitious.